The Canadian Defence & Foreign Affairs Institute (CDFAI), in partnership with the Centre for Military and Strategic Studies at the University of Calgary, sponsors a scholarship for 12 students to attend a nine-day certificate course on military journalism and the Canadian Forces. The course includes a combination of media-military theory in a classroom setting, coupled with field visits to armed forces Regular and Reserve units. The goal is to enhance the military education of Canadian journalists who will report on the issues facing the Canadian Forces and their activities domestically and abroad. 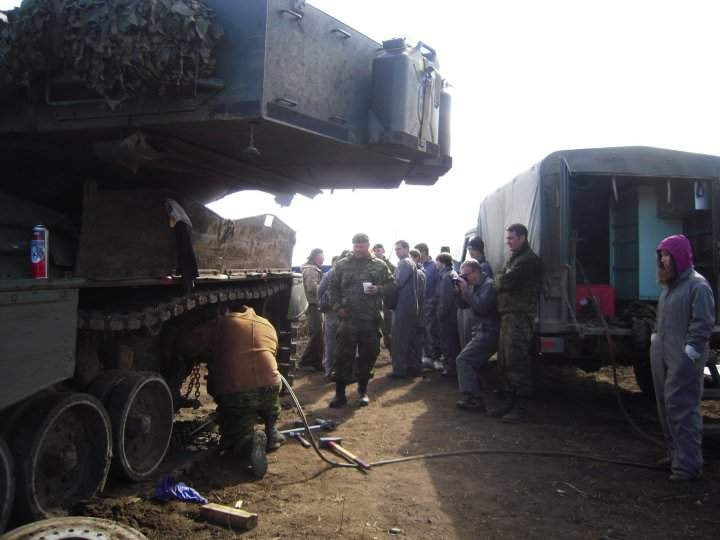 From 7 – 9 May 2010, the Regiment hosted such a group, showcasing our unique capabilities to 12 students from across the country. The visit began with coffee in the Mariner Room, which conveniently enough was doughnut day as well. A trip to the stables followed, during which the Strathcona Mounted Troop demonstrated their precision on horseback and one of the students demonstrated a newly discovered allergy to horses. 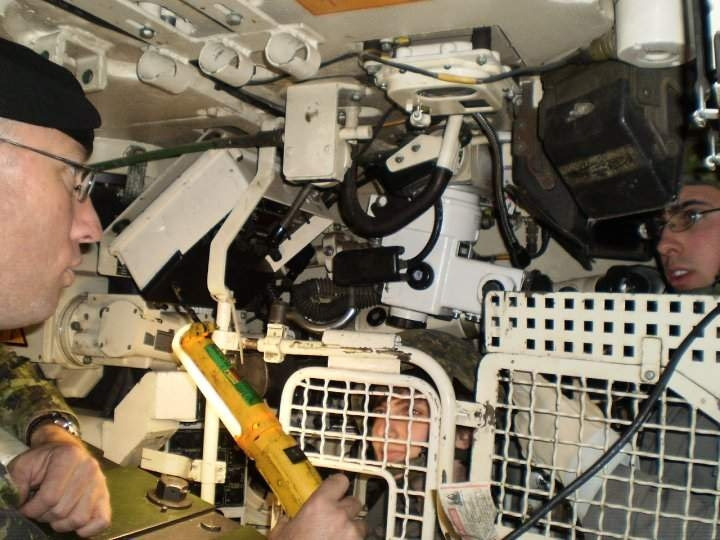 The group also had the opportunity to practice Leopard C2 Gunnery drills thanks to the tutelage of Sergeant Alexander Graf. Concluding the day were Tank and Coyote static displays coupled with a ride in a Leopard C2 provided by Warrant Officer Doug Paquette and driver Corporal Jason Barrett. The Regiment welcomed the diverse group with open arms and sent them to the Canadian Manoeuvre Training Centre (CMTC) in Wainwright with smiling, albeit muddy faces. 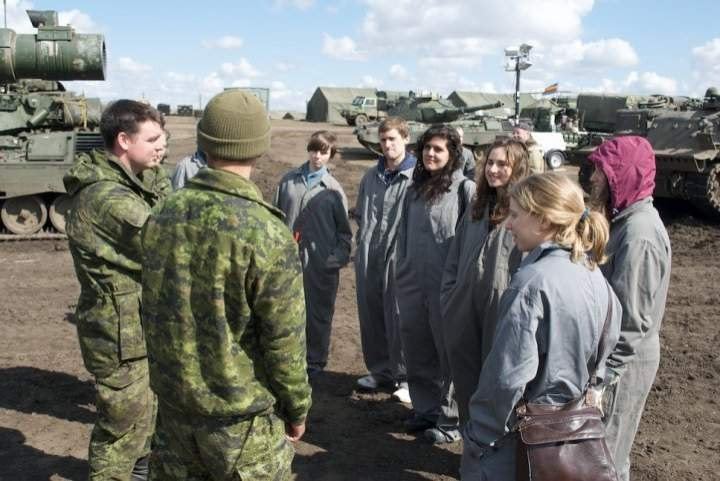 While in Wainwright, the students had the opportunity to observe the Combat Team Commander Course conduct Stability Operations, which were enhanced by the near Oscar-worthy performances of Contemporary Operating Environment Force (COEFOR) personnel acting as a disgruntled indigenous population. The visit concluded with a visit to the CMTC Media Ops Centre to see how the CF incorporates media exposure into our training regimen. The intent of this annual visit has always been to foster a familiarity and mutual understanding between the CF and the future media, two entities which require a symbiotic relationship in order to function. Thanks to the hospitality of the Regiment and CMTC, and the adventurous spirit of the student group, this visit most definitely achieved that intent.